For a limited time only, Rainforest Cruises is offering Free Domestic Flights in Peru and Machu Picchu Tickets. Combine luxury with adventure and culture on this 5-Day Majestic Sacred Valley adventure and 4-Day Luxury Aria Amazon Cruise that sails through the remote Pacaya Samiria National Reserve. Great last-minute perks that save you a fortune on the luxury Aria Amazon riverboat in the Peruvian Amazon. Rainforest Cruises introduce a series of special luxury 2018 cruises featuring the world-renowned champion of ocean conservation and environmental protection, Jean-Michel Cousteau. Limited cabins are available so reserve your suite now for this exclusive and unique cruising opportunity! 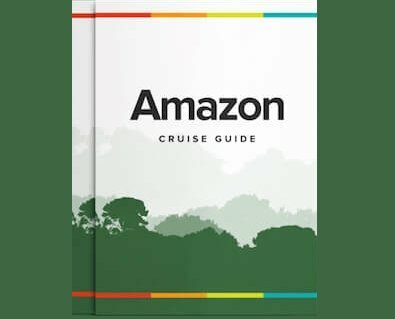 Here we have scoured the marketplace for the best Amazon cruise deals to allow our passengers to experience the wonders of the Amazon for less! These Amazon cruise deals are valid for new bookings only, cannot be used in conjunction with any other offer, and being subject to availability will not last. Check out those prices! Everyone loves a bargain, and Rainforest Cruises are no exception. To secure your cruise deal, contact us today. Keep up to date with our cruise offers, blog posts and more by signing up to our monthly newsletter! Provide your phone number to receive current cruise offer information.